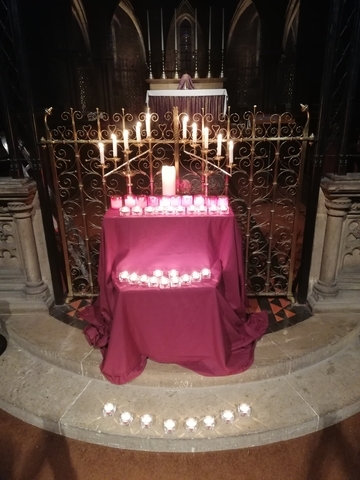 Picture 50 candles to remember the victims of the killings at 2 mosques in Christ Church New Zealand. The knife crimes in this area formed the back drop to last month’s letter. Violence is still very much in our minds after the murder of 50 Muslims in 2 mosques in New Zealand. There were also attacks on mosques here in Birmingham. What are we to make of these events during this time of Lent? Do we need to be tolerant? Secular society sees toleration as the missing piece in the jigsaw in Britain today. It is certainly true that a lack of tolerance is very evident in our land. Jesus however preached something different, Jesus preached love (agape) not tolerance. Tolerance is the willingness to accept behaviour and beliefs that are different from your own, even if we don’t agree with, or approve of, them. By contrast, love is to actively pursue the wellbeing of a person with different beliefs and behaviour. Our society needs love, not just tolerance. Luke 4 verses 1 to 4 (Good News Translation) “Jesus returned from the Jordan full of the Holy Spirit and was led by the Spirit into the desert, where he was tempted by the Devil for forty days. In all that time he ate nothing, so that he was hungry when it was over.” Jesus was tempted with food, the easy way, and power. Our temptation in the face of terrorism is fear and violence. Both fear and violence take us away from God’s path. Fear comes from a lack of trust in God, violence comes out of fear and a desire for revenge. Violence becomes a cycle of destruction. Look at Afghanistan, Iraq and Syria, none of them has been made a better place through violence and revenge. Lent encourages us to face up to our temptations- those include the temptation to fear and violence. Jesus holds out a different way and another hope. Jesus followed the path of love even though the cost was so high. Jesus suffered and died so that others might live. Jesus rose again and gives us hope that all situations can be redeemed. Because we follow Jesus we should not give into fear and violence, we should stand firm in faith, hope and love.